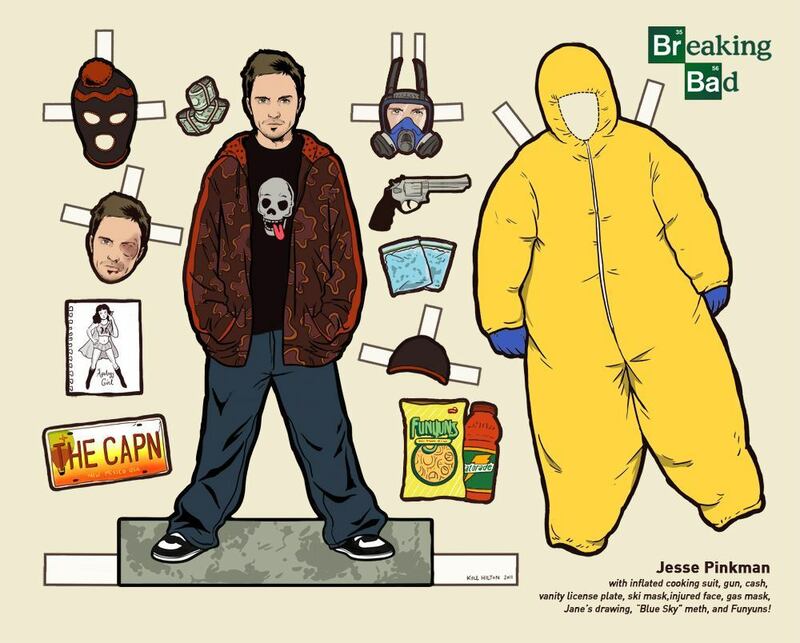 I am addicted to meth...or at least the show that revolves around that stuff. Ironically, I have never done any drugs and do not see that actually changing anytime soon. 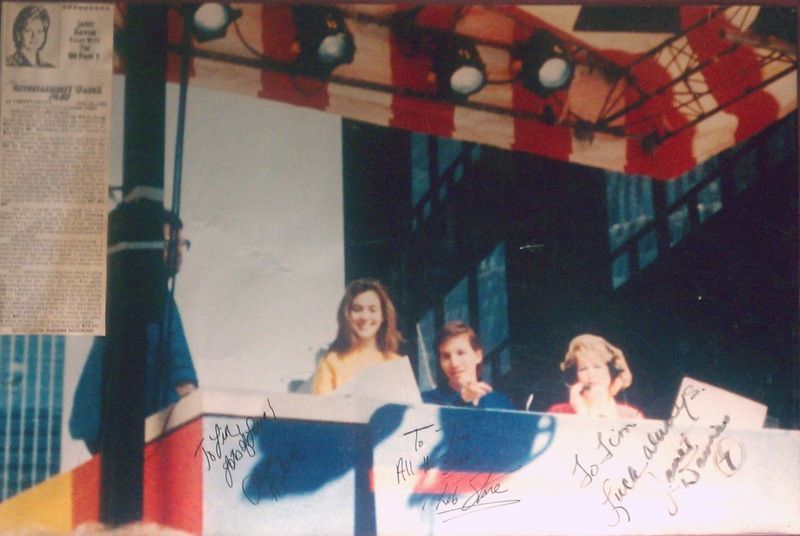 (Back in 1988, I even first shared my support for the campaign to Say No! To Drugs! in this very column.) 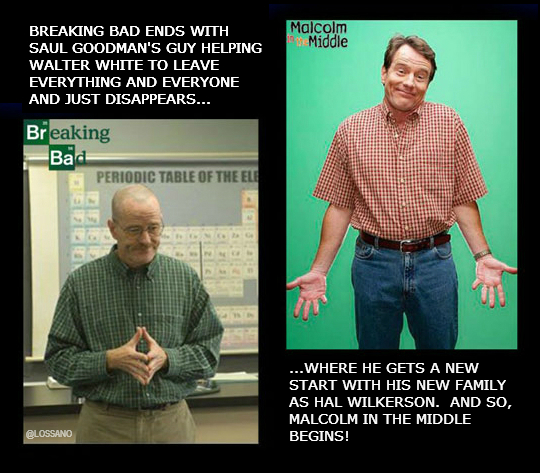 So, why do I like Breaking Bad so much? Is it because of my favorite likable sociopath meth kingpin, Walter White? Partially, yes. 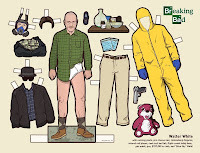 If you watch the show, then you know that Walter is the #1 reason to watch, but he is supported by Jesse, Skyler, Hank, Saul, the rest of the characters, the writing, the amazing camera work, the twist and turns...All of it! ...and it is all coming to an end soon! 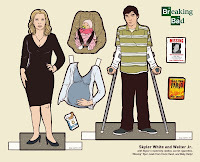 Besides donating cash to Save Walter White, here are some of the things that you can do to help keep Breaking Bad, and all it represents, in your life for years to come, (or until Hank figures out your connections and tries to stop you). 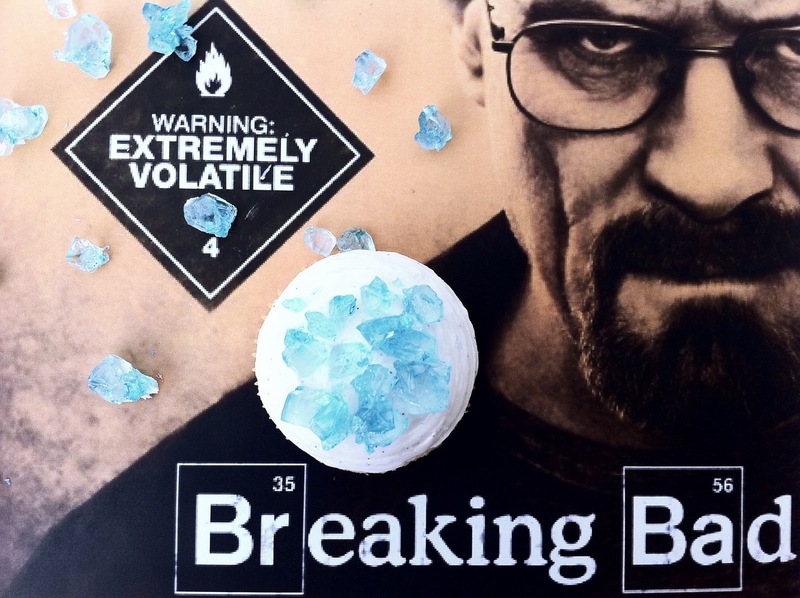 These ingredients are not AS harmful as the real ingredients that you need to make actual methamphetamine. Just be sure to NOT accidentally leave a copy of your 'blue crystal meth candy recipe' at work! Click here for the full CANDY recipe! A perfect treat for your guests at your next Breaking Bad viewing party! Betsy Brandt, who played Marie Schrader, stars in the new NBC sitcom The Michael J. Fox Show. 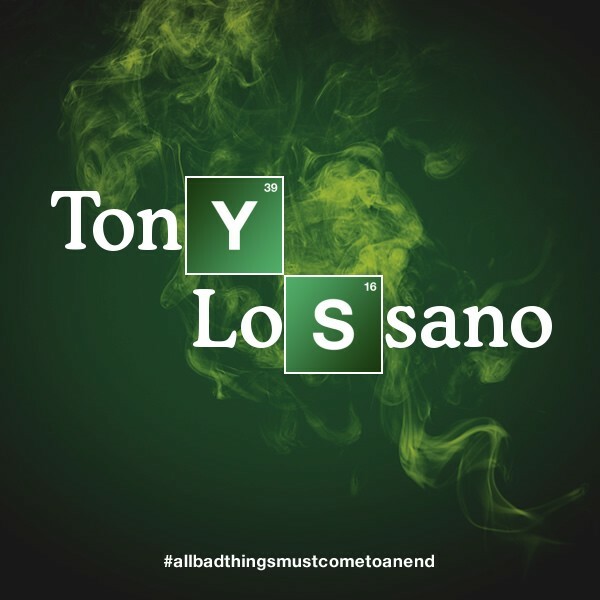 Maybe you can just hope to run into one of the stars from Breaking Bad at your place of work? It could happen! 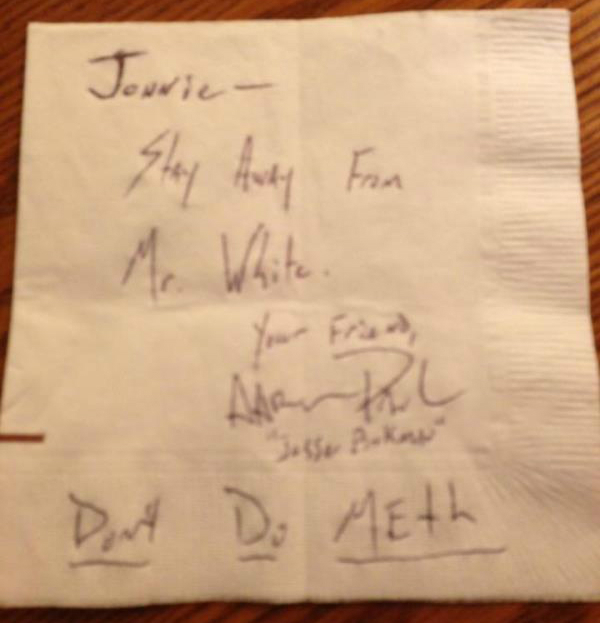 Recently, Aaron Paul (Jesse Pinkman) left a napkin for a fan who waited on him at a Carrabba's Italian Grill in Beaumont, Texas. 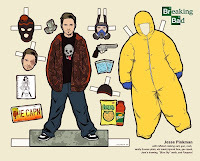 "Jonnie - Stay away from Mr. White. 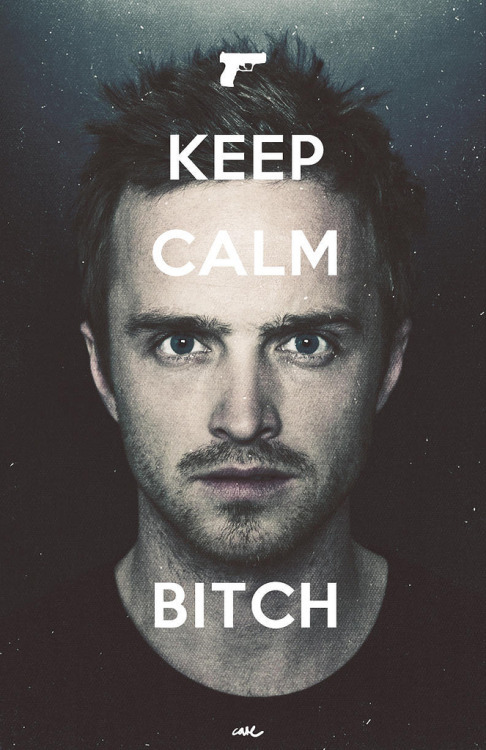 Your friend, Aaron Paul "Jesse Pinkman" Don't Do Meth"
"Stay away from Mr. White!" Great advice, but if you do find your self face-to-face with Heisenberg, well, "Better Call Saul!" 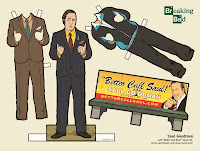 - Bob Odenkirk is returning as Saul Goodman, in the new AMC Breaking Bad spin-off prequel Better Call Saul! -or did this all already happen...and did I enjoy watching it? “First of all, I have to say, God bless him for his enthusiasm, but I don’t know how to do that at this point. 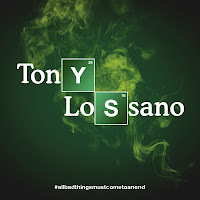 I learned a long time ago to never say never"
So, how will the series end...perhaps with a new drug lord? 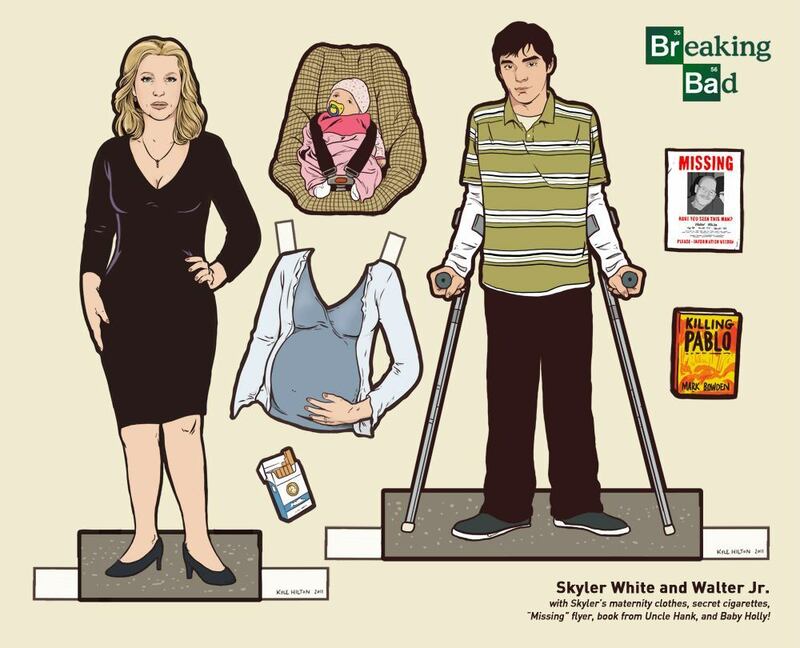 No, not that way...but I do believe that Breaking Bad will end with the biggest twist ever! Yes, that is right, where Breaking Bad ends, Malcolm In The Middle will begin. Brilliant, right!?! 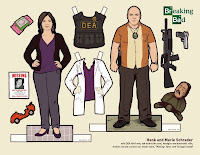 The series will never end, for as long as you have these cutouts of the characters, to keep your own story going. 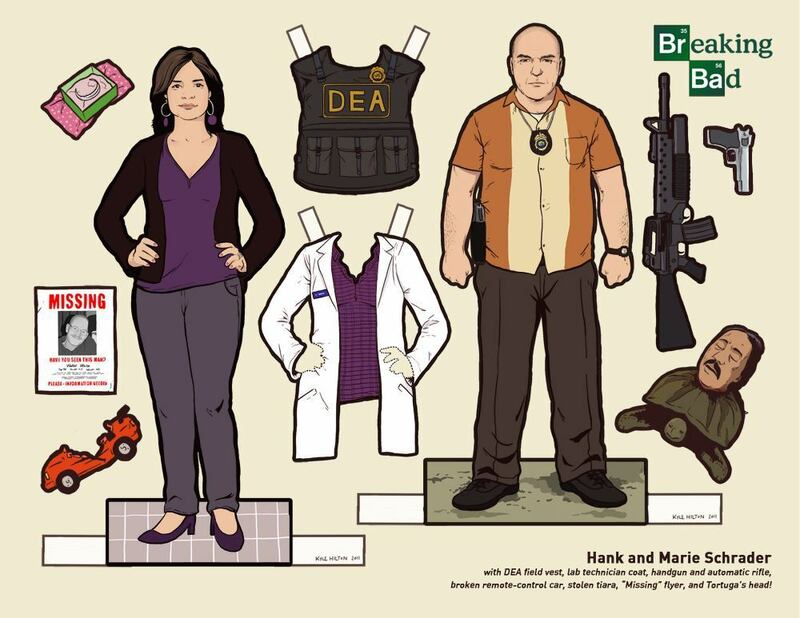 You can cut-out, dress and play with the cast...and this makes a great Christmas gift too! "DING DING﻿ DING DING DING DING DING DING DING!!!!!!!!!!!!"